Prior convictions and your current criminal case – Things happens and people make mistakes all the time, but sometimes these things can follow you for a long time (and maybe forever.) Criminal convictions fall into that category. It is more than just about jail time – in fact, we have written extensively on the collateral consequences of criminal convictions. Not even those consequences, however, explain everything that you need to worry about. In addition to the collateral consequences discussed in that blog, having prior criminal convictions can have a detrimental effect on your current criminal case. When a potential client calls us about current charges, one of the first questions we ask is “have you ever been convicted of a crime?” If the answer is yes, we then ask, “what crime were you convicted of”. When we ask these questions, we are not being nosy or judgmental, we are asking because prior convictions can have a significant impact on how we handle the current case. In this blog, we will explain why that is. Like all of our other blogs, this is intended to provide information only, and it would be a very poor substitute for the advice and counsel of a criminal defense lawyer. A prior conviction is a conviction for a misdemeanor or felony charge in any state or at the federal level. Charges that did not result in a conviction are not included as a prior conviction. However, you should tell you lawyer if you have been charged with a crime in the past, as that can affect your options moving forward. Please note that, contrary to popular belief, prior convictions include DWI and misdemeanor traffic convictions, such as reckless driving, driving while license revoked (DWLR), open container, littering, etc. Prior convictions also include less serious offenses such as underage drinking, worthless check, and possession of marijuana. Many states have sentencing guidelines for criminal matters. North Carolina has misdemeanor sentencing guidelines, felony sentencing guidelines, and DWI sentencing guidelines. All of these guidelines are based on the crime, any aggravating or mitigating circumstances surrounding the conduct of the crime, and prior convictions. In the case of DWI, the relevant conduct is specific to prior convictions of DWI. South Carolina does things differently, since there are no formal uniform sentencing guidelines. However, prior convictions are still a huge factor with sentencing. The two most important ways in which this occurs are: 1) Many statutes have different levels of severity of punishment for prior convictions written in the statute itself, and 2) Different occurrences of the same crime are punishment more harshly. For example: South Carolina has DUI first offense, DUI second offense … etc., each one having more severe consequences than the last. In short, generally a prior conviction will cause your current sentence to be a lot harsher than it would be without a prior conviction. Bail bond amounts are determined by two major factors, flight risk and danger to the community. We wrote a blog on it that you can view here. Prior convictions are a strong consideration that judges and magistrates use to determine whether or not they think the defendant is a danger to the community. Typically, the more prior convictions you have, the more it will cost for you to bond out. Especially if those prior convictions involve crimes of violence. In criminal cases, you always have the right to plead guilty, and you always have the right to a trial. However, there are some programs that are only available to defendants that meet certain criteria involving the lack of all or certain prior convictions. An example of this in South Carolina is a program calledPTI. The numerous examples in North Carolina that come to mind are 90-96, deferred prosecution, and conditional discharge. These programs have pretty strict rules regarding prior convictions, which would make some people ineligible. This is one of the reasons two people can be charged with the exact crime and get a much different result. Prior convictions limit your options. Criminal defense is not as simple as some people would like to think. Rarely is a case as straightforward as a layperson would like to think. 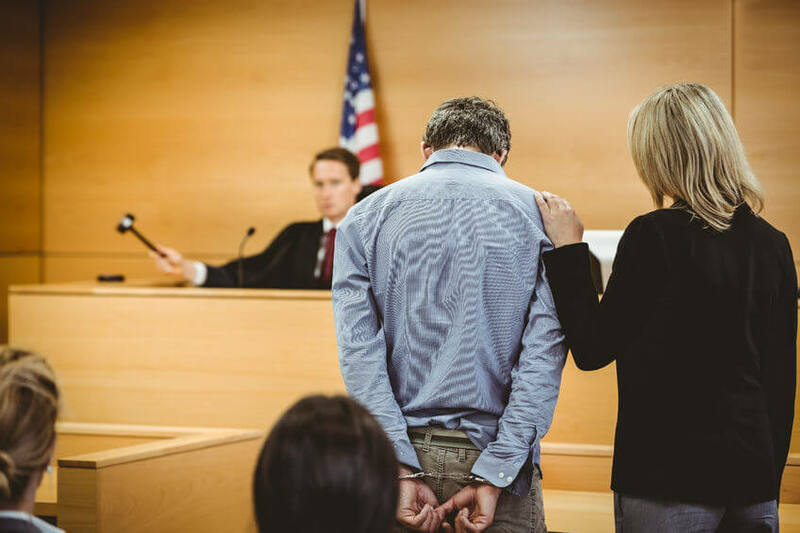 A criminal defense attorney can help you avoid convictions in some case and also tell you if a prior conviction is eligible for an expunction. If you have had an expunction, that prior conviction effectively goes away for the purposes stated above. If you have been charged with a crime and are in need of a criminal defense lawyer,contact us.